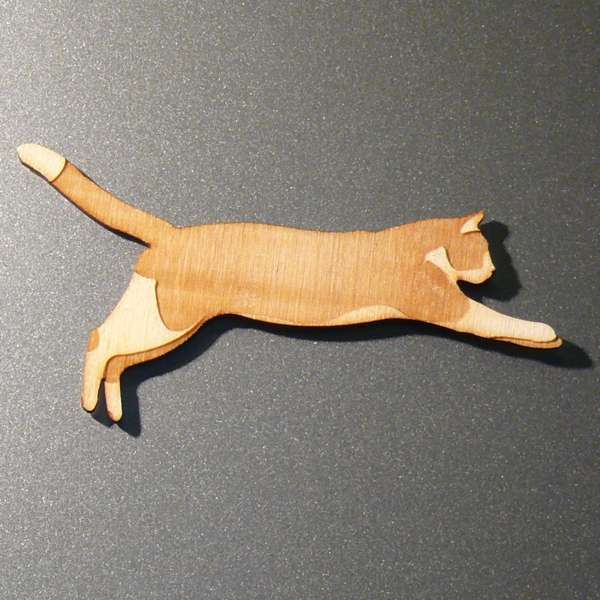 An etched plywood fridge magnet of a running cat. 13cm tail tip to paw. 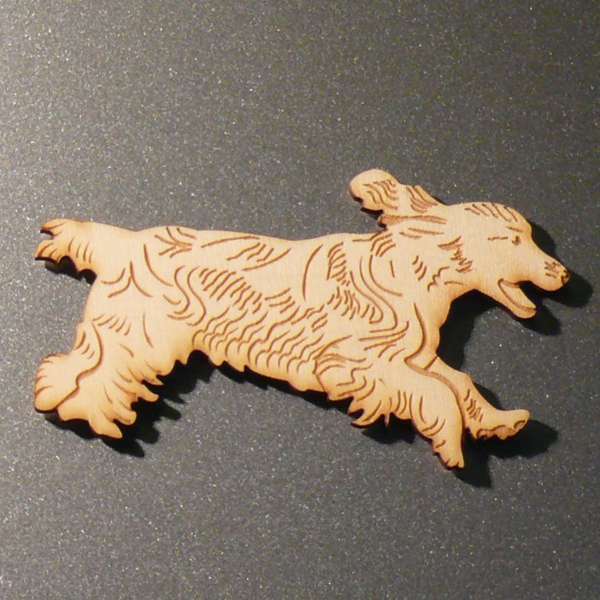 An etched plywood fridge magnet of a laughing Cavalier. 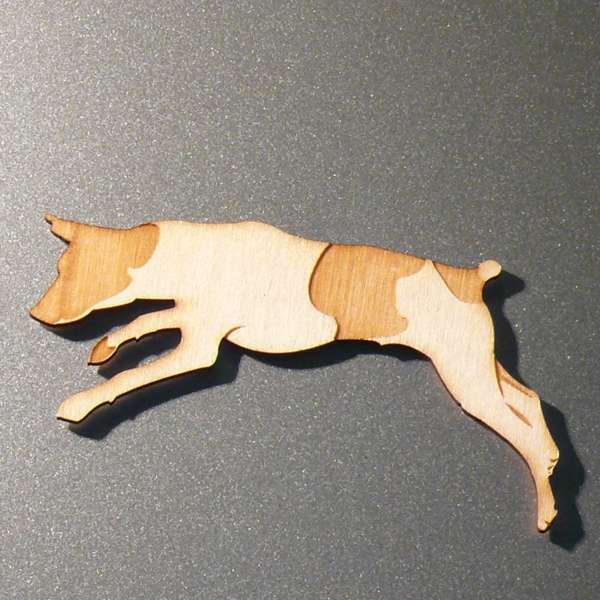 10.5cm nose to tail. 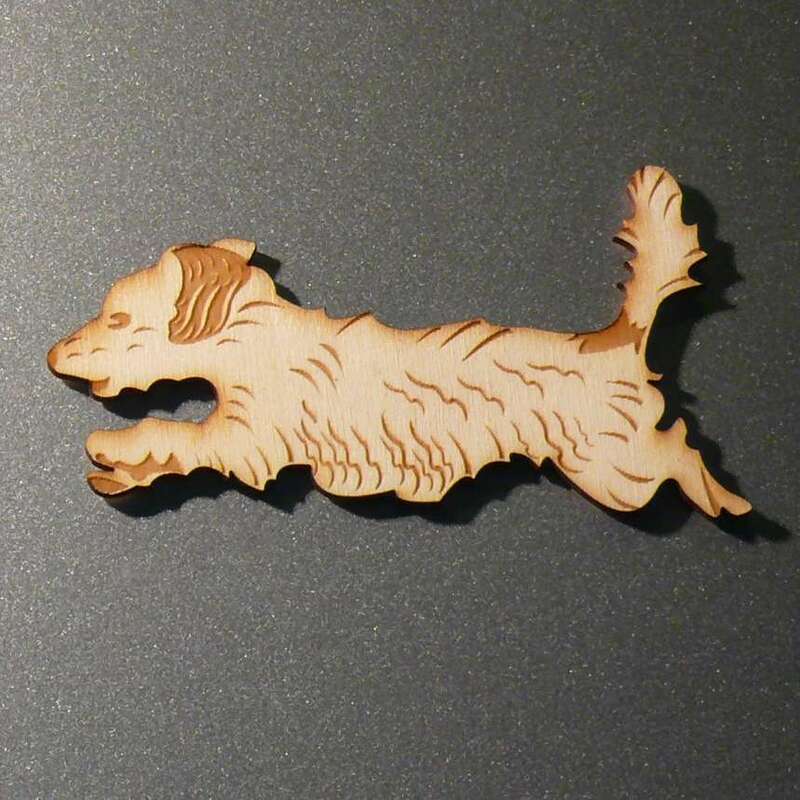 An etched plywood fridge magnet of a Cocker Spaniel. 10cm nose to tail. 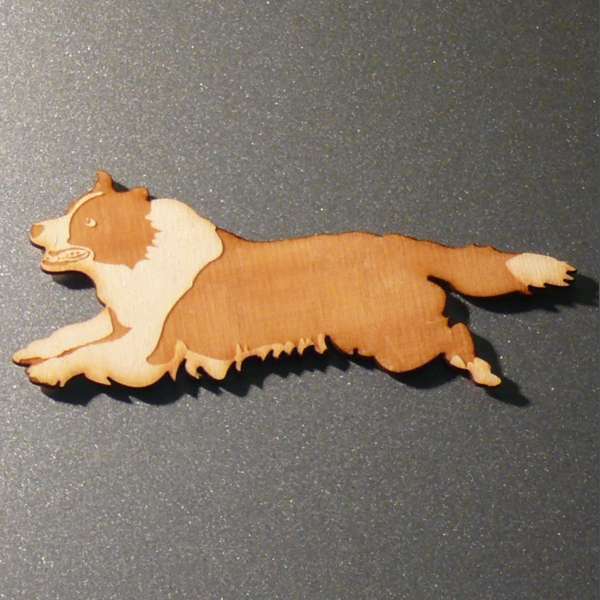 An etched plywood fridge magnet of a busy collie. 10.7cm nose to tail. 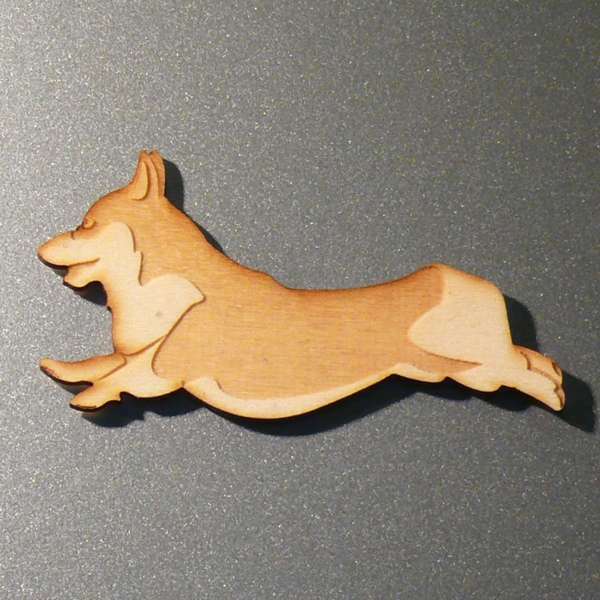 An etched plywood fridge magnet of a Welsh Corgi. 10cm toe to toe. 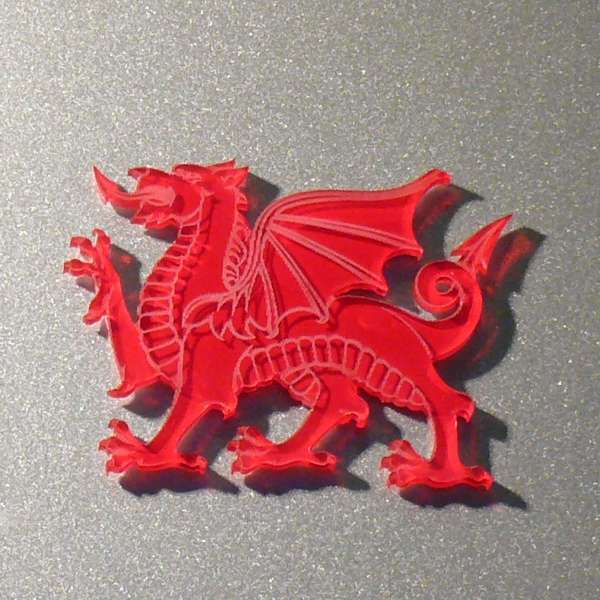 An etched acrylic fridge magnet of a Welsh red dragon. 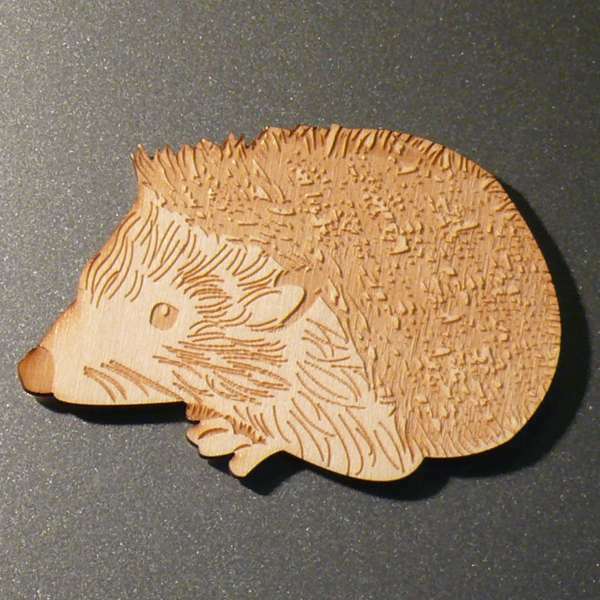 4.5cm high. 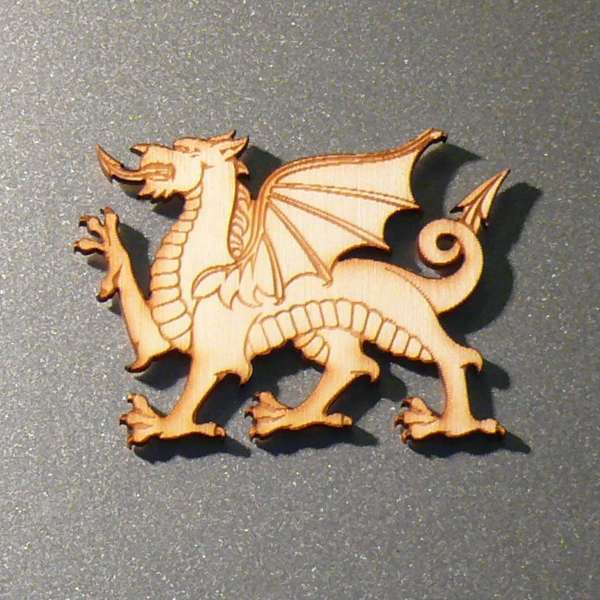 An etched plywood fridge magnet of a Welsh Dragon. 4.5cm high. 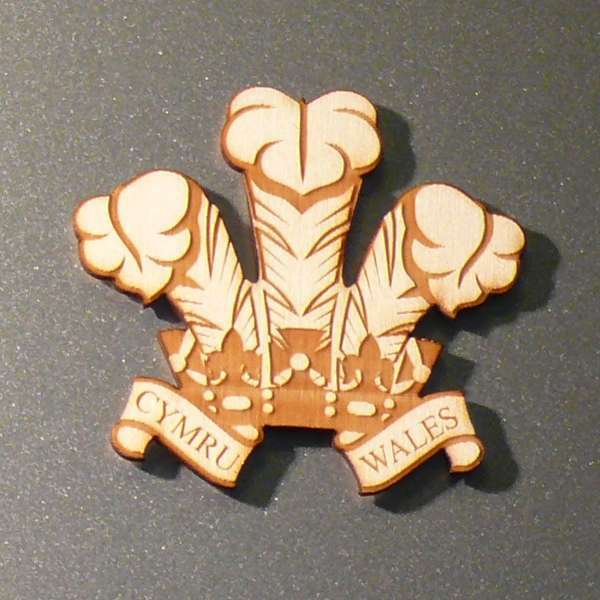 An etched plywood fridge magnet of the three feathers emblem. 7cm high. 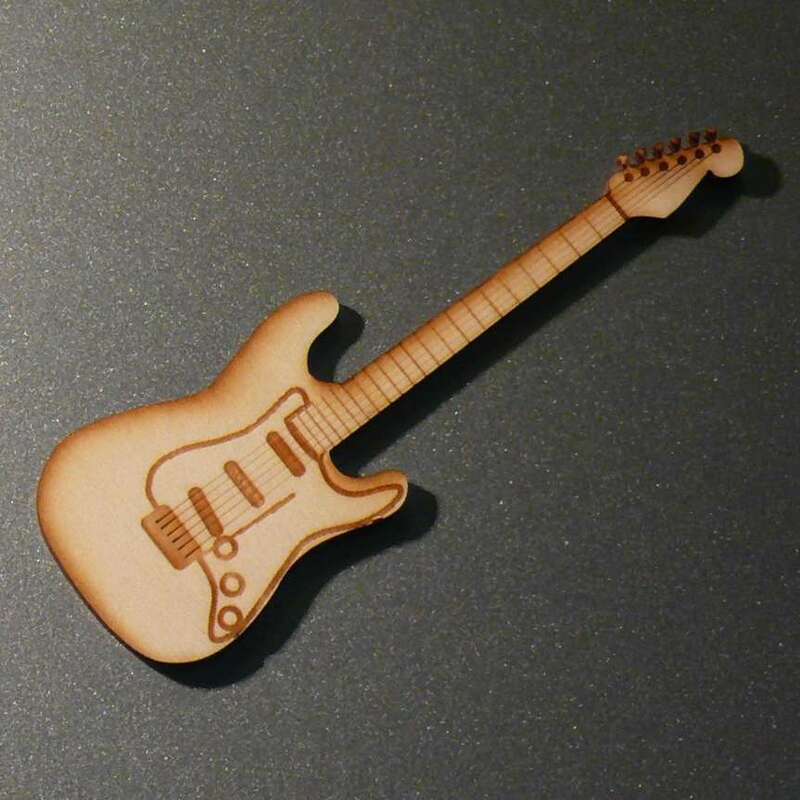 An etched plywood fridge magnet of a Stratocaster guitar. 12.7cm tall. 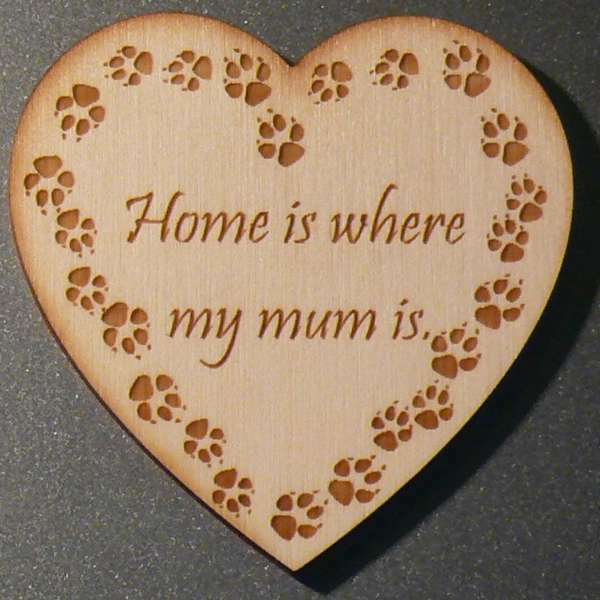 An etched plywood fridge magnet of two hearts pierced by Cupid’s arrow, engraved with the couple’s names. The arrow is 11cm long. 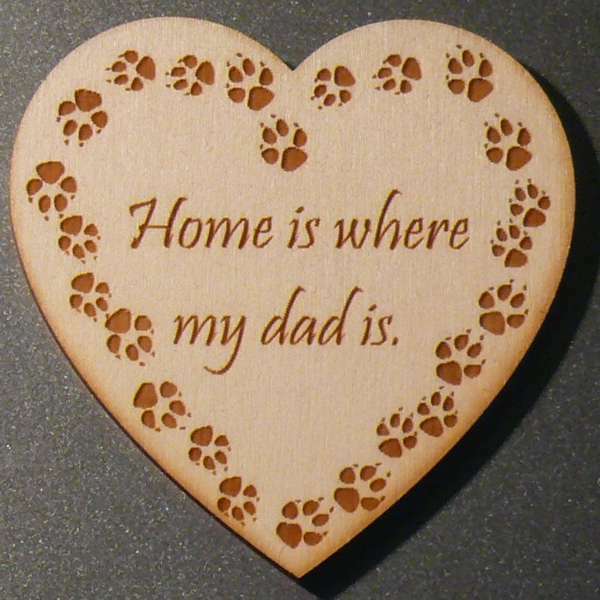 Click the title to specify the names to be engraved. 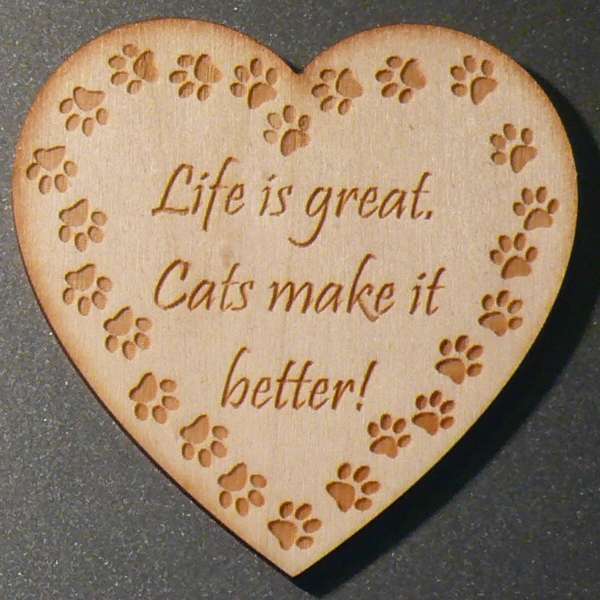 An etched plywood fridge magnet engraved with a loving reminder. 8cm tall. 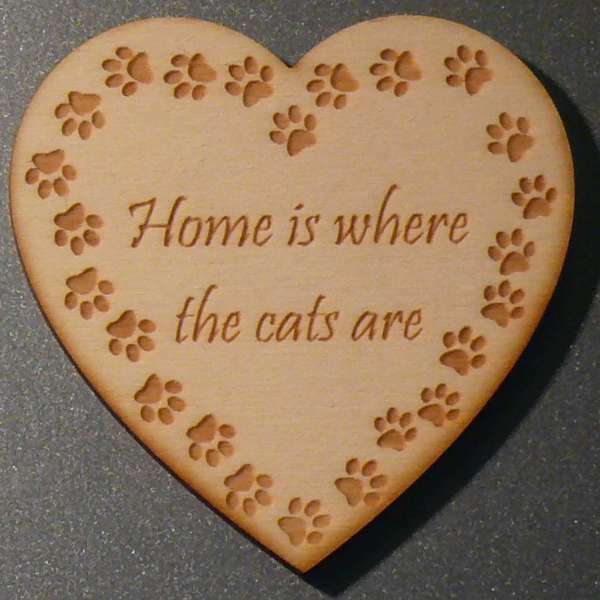 An etched plywood fridge magnet celebrating cats. 8cm tall. 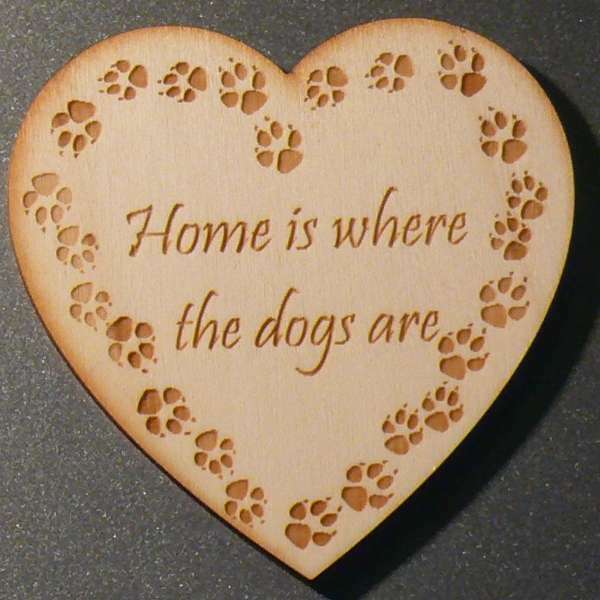 An etched plywood fridge magnet celebrating dogs. 8cm tall. 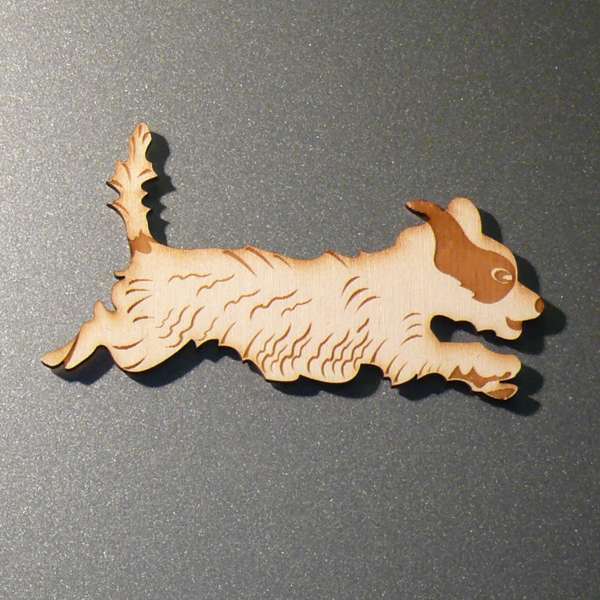 An etched plywood fridge magnet of a characterful terrier. 10.5cm toe to toe. 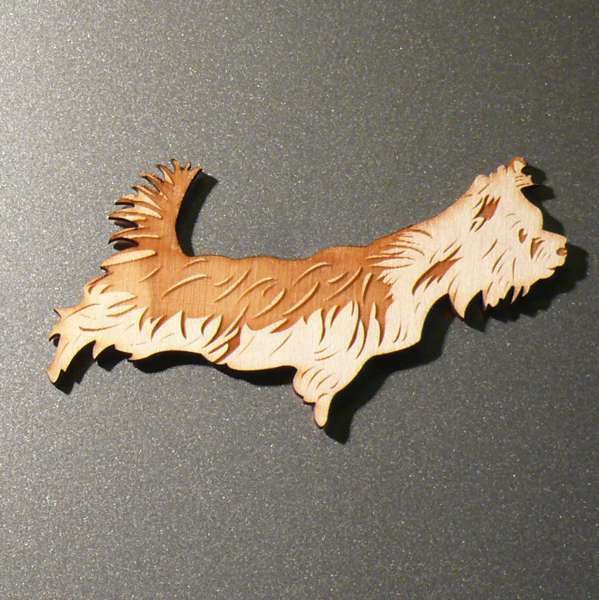 An etched plywood fridge magnet of a smooth haired terrier. 9cm nose to tail. 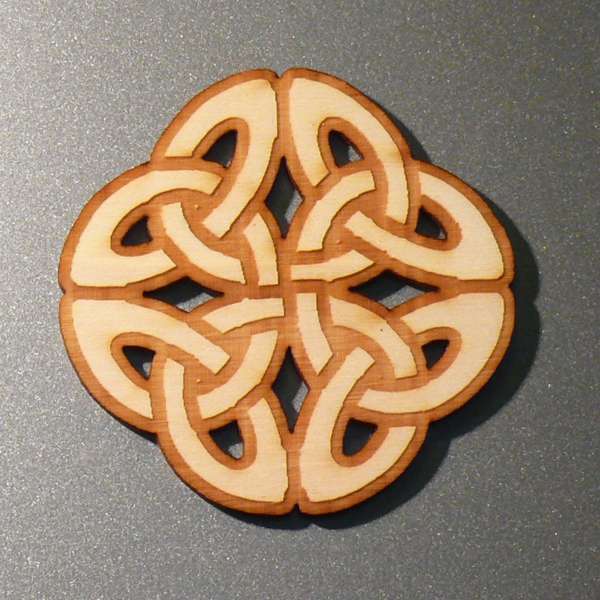 An etched plywood fridge magnet of a Celtic knot design. 9cm at widest point. 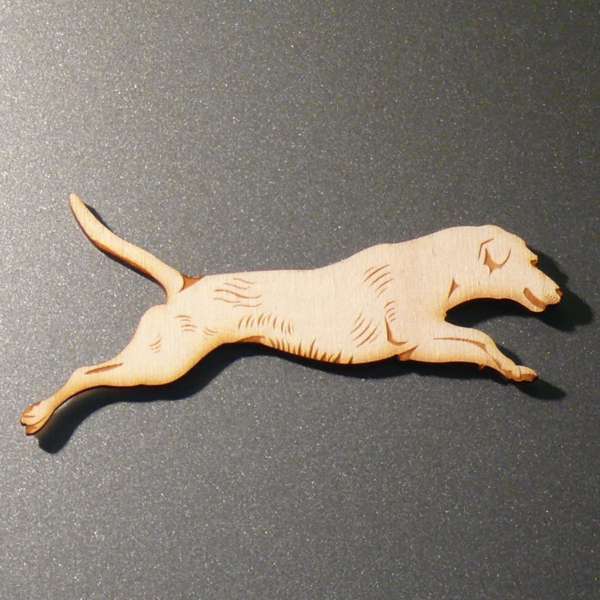 An etched plywood fridge magnet of a Labrador dog. 11.5cm nose to tail. An etched plywood fridge magnet of two passionate penguins. 10cm tall. 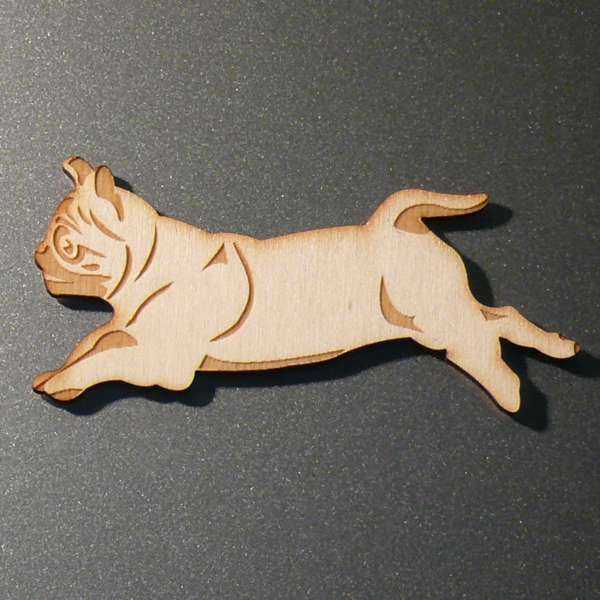 An etched plywood fridge magnet of a trundling pug. 11cm toe to toe. 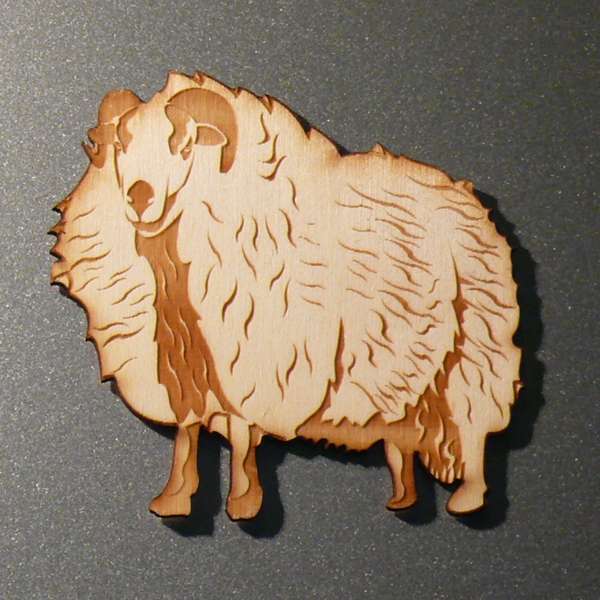 An etched plywood fridge magnet of a Welsh Mountain Badger-Faced Sheep. 8.5cm tall. 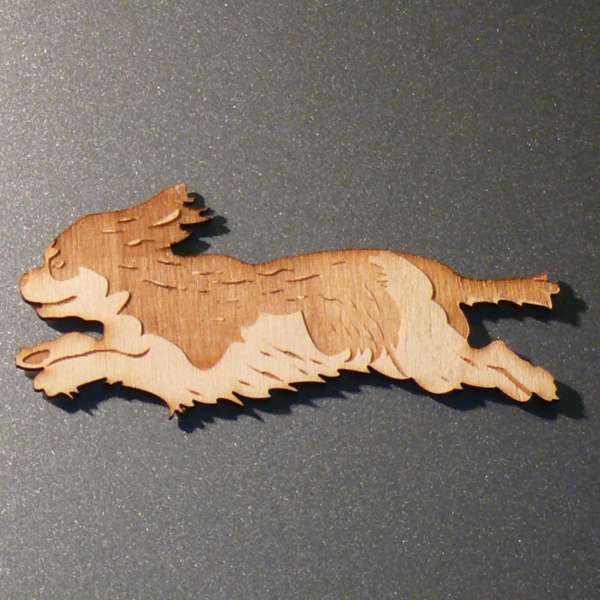 An etched plywood fridge magnet of a leaping Springer Spaniel. 10.5cm toe to toe. 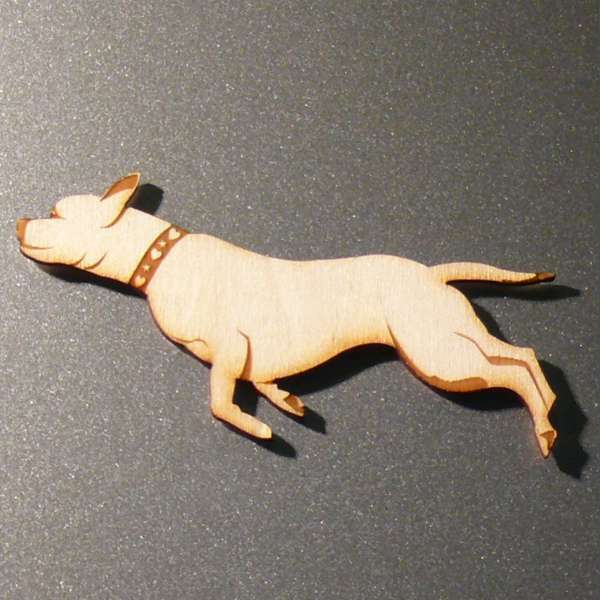 An etched plywood fridge magnet of a merry Staffie. 10.5cm nose to back paw. 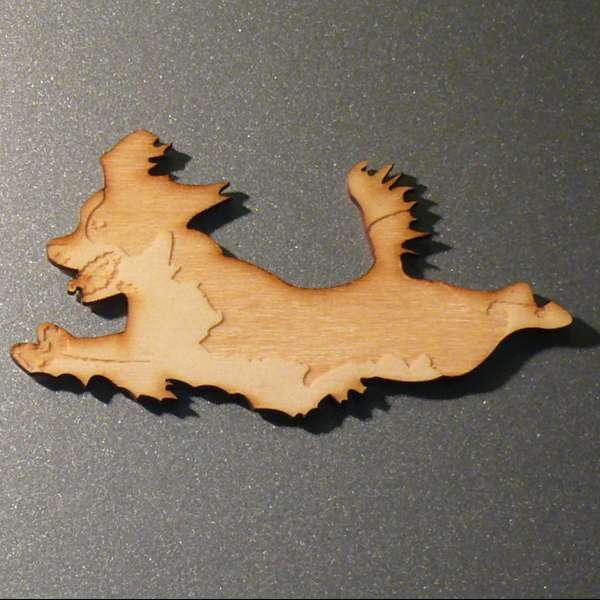 An etched plywood fridge magnet of a jolly Yorkie. 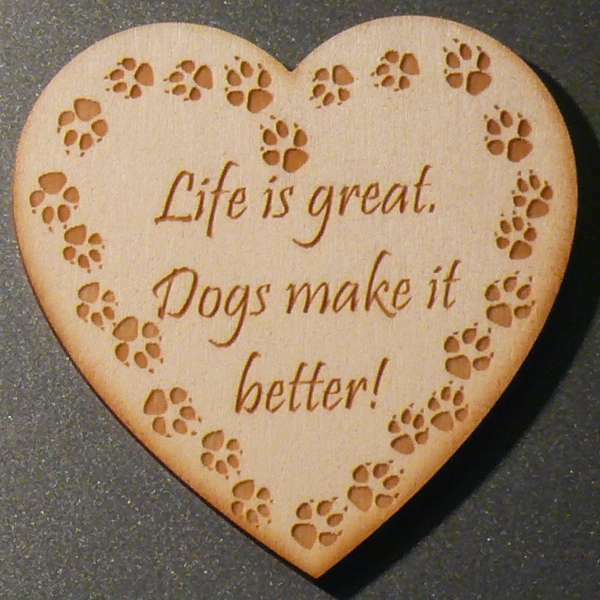 12cm nose to back paw. 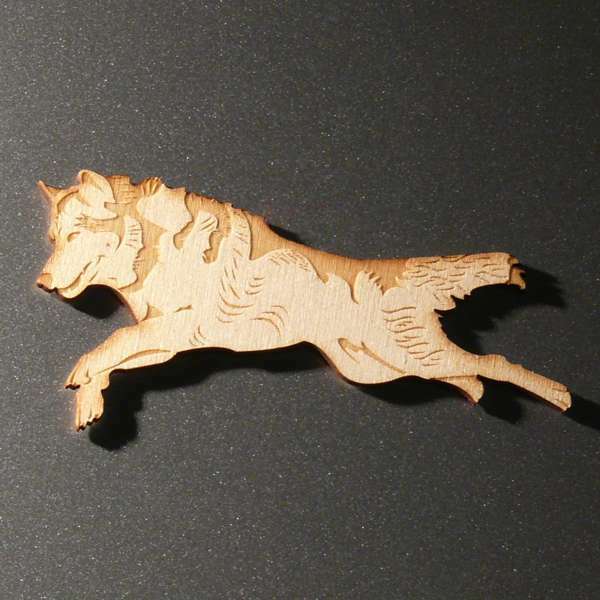 An etched plywood fridge magnet of a wolf. 12cm nose to back paw. 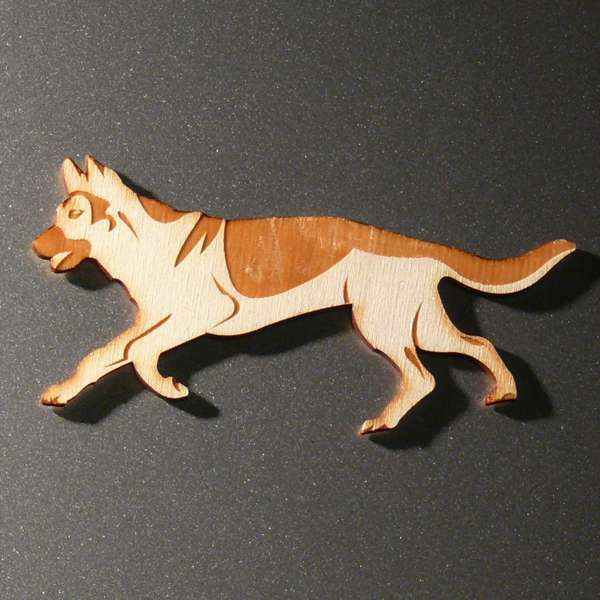 An etched plywood fridge magnet of a German Shepherd or Alsatian dog. 11.5cm nose to tail.